Item # 317923 Stash Points: 2,795 (?) This is the number of points you get in The Zumiez Stash for purchasing this item. Stash points are redeemable for exclusive rewards only available to Zumiez Stash members. To redeem your points check out the rewards catalog on thestash.zumiez.com. 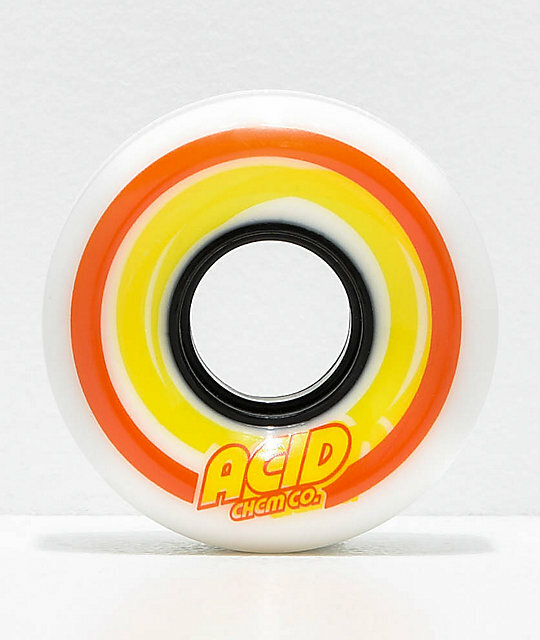 From the vert to the streets, the Acid Pods White 55mm 86a Skateboard Wheels are ready to shred it all. At 55mm these wheels provide a larger size for a higher top end roll speed but still remain small enough to not sacrifice acceleration in the process. Finished with an 86a durometer rating, these extremely soft wheels can handle rough pavement and small debris with ease. 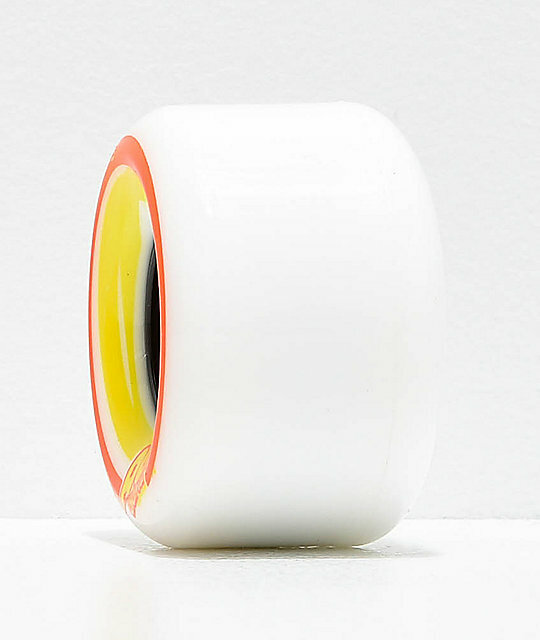 Pods White 55mm 86a Skateboard Wheels from Acid Wheel Co.